How do I get to the beginning of the 100 Mile Wilderness? There is no public transportation to the 100 Mile Wilderness section of the Appalachian Trail. Shuttles must be arranged through private individuals who are properly insured and licensed to transport by the State of Maine. At 100 Mile Wilderness Adventures and Outfitters in Monson, I have been providing safe and reliable shuttle service for almost 4 decades. I know the complex and vast system of logging roads within the 100 Mile Wilderness and can provide you with shuttle options as well as extraction points, should you decide to end your trip early. Is it worth the weight to bring a fishing pole? What is the best time of year to hike the 100 Mile Wilderness? I prefer Spring and the Fall, but I also enjoy other times of the year as well. The longest season is Winter; which usually runs from mid November into early May. The snow pack in the mountains is deep (usually 4′-6′), making for difficult travel along the Appalachian Trail. Winter slowly transitions into “mud season”. This is when the melt off begins. The Trail is extremely wet and muddy, as well as easily damaged. Gravel access roads are muddy messes with deep ruts and washouts; some logging roads may no longer be passable. All of the rivers and streams are at flood stage until after the snow in the mountains is gone; usually late May/early June. I like hiking in June, despite the bugs.The smells are at their best and the leaves have just come out. Daylight is at its maximum with 4am daylight appearing and 9pm darkness settling in. The Trail is quiet and uncrowded. July and August are both busy and buggy. The summer months bring hot and humid weather and almost daily early morning and/or afternoon thunderstorms; many of which are violent in nature. Expect hail, high winds, heavy rains and cold temperatures. I have seen temps drop over 30 degrees in less than an hour. I have also seen it snow in July in the higher elevations. September and early October are the best hiking months.The Fall colors are coming out (peak foliage is always the first week in October around Katahdin area), the air is cooler and drier, the bugs have died out and a quiet that is hard to explain. Late October into December offers some cold and some warm days. Best to watch the weather forecast for possible changes before heading out. Expect snow from time to time. The Trail tends to be icy from the night freezes, but can thaw out by mid-day. Hunting season is the entire month of November, but I still get out there and hike and don’t worry about hunters in the woods. No matter the time of year; always be prepared for the worst weather imaginable. Your comfort, and your safety, depends on staying dry and warm. How can I safely ford a river or swift flowing stream? Where can I get detailed maps and pertinent Trail information? 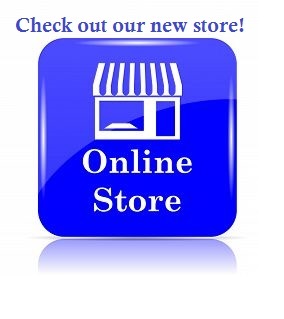 Detailed and up-to-date maps are available by clicking onto my 100 Mile Wilderness Store. The 100-Mile Wilderness Map and Guide has point to point mileages, lists shelters and campsites, road access and is waterproof an tear resistant. I can also mark 30 additional campsites along the route that will allow you to camp in private as well as add some flexibility to your itinerary. These are places I’ve found along the way over the many years of hiking in the 100 Mile Wilderness. This map also includes trails in Baxter State Park. I also offer the Maine Mountains Trail Map, which details all of the trails in Baxter State Park, the North Maine Woods and has much of the 100 Mile Wilderness route. How safe is the water to drink? 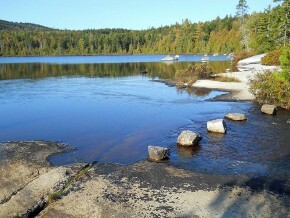 Maine has an abundance of water sources along the footpath of the Appalachian Trail through Maine. You will not travel far without access to cold, clean water. I seldom carry more than a liter of water at a time. Because there are so many springs along the footpath, I choose these as my main water source. I always treat pond or lake water and I always treat low elevation stream or river water. Always err on the side of caution and treat your water before drinking. Better to be safe, than sorry. Are there any fees to hike 100 Mile Wilderness? 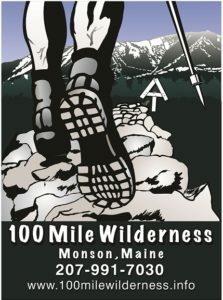 The 100 Mile Wilderness is part of the Appalachian Trail system and there are no fees to hike on any part of the Trail. There are, however, notable exceptions…. If you are planning to begin or end your hike in Baxter State Park, then you will need to make reservations for a campsite or lean-to. Out of State visitors arriving by vehicle must pay an entrance fee to enter the Park. 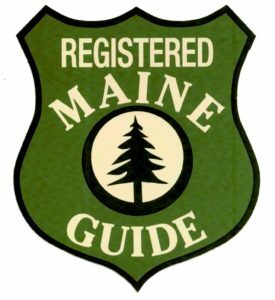 There is no charge for vehicles with Maine plates.You can go to www.baxterstateparkauthority.com to learn more and to make your reservations. Another exception is access to the Trail through the private lands of the North Maine Woods via the Jo-Mary and Katahdin Iron Works roads. These roads are used for logging and thanks to the generosity of the landowners, they have allowed public access for recreational purposes. There is a gate fee ($12 per person) levied to offset the costs of maintaining the roads and to help maintain the many campsites throughout the landowners district. If you are hiking along the Trail, there is no fee, however, if you use the roads or get off the Trail and then need to restart your hike within the region, then you will need to pay the access fee in order to get back to your starting point. You can learn more by going to www.northmainewoods.org Day hikers and section hikers will find the gatekeepers especially helpful and friendly. Maps and brochures are available at all checkpoints. Remember….the lands surrounding the Appalachian Trail are privately owned and you need to respect the landowners rights. When driving through lands privately owned, always yield to log trucks. Pull over to the side of the road and let them pass by safely. Your safety is your responsibility once you begin your hike. Once you enter the 100 Mile Wilderness, access out is limited. While the Trail does cross a number of logging roads, many of these have been “put to rest” until the next timber harvest. Go the wrong way on any of these roads and you’ll be wandering a long time only to find out that the direction taken actually leads nowhere. Rescue in the 100 Mile Wilderness is difficult. Get hurt and you’ll be hurting a long time. For all practical purposes, you are in the middle of nowhere and it’s a long ways to help. Don’t take chances. Exercise extreme caution. Be prepared for bad weather. Be prepared to wait out flooded rivers. Do not travel along mountain ridges during thunderstorms. Katahdin, Whitecap and Barren-Chairback are particularly dangerous due to the open ledges and extreme exposure. Cell phones are virtually useless in the 100 Mile Wilderness. Coverage is poor to non-existent. Texting works best with few places available for phone calls out. If you are seriously hurt or need to get out, stay on the Trail and contact me. Follow the basic survival rules. Stay warm. Stay dry. Assess your situations and understand your needs. Render first aid if necessary. Keep calm and stay relaxed. If it is raining and you are unable to setup your tent, cover yourself with the tent fly. You may not be in the most ideal location when you are injured, but so long as you are warm and dry, you will remain comfortable until help arrives. I provide shuttle services into and out of the 100 Mile Wilderness. I know the vast network of logging roads in the area and am available to assist you along the way. Avoid the water. Avoid high ground. Avoid metallic objects. Avoid solitary tall trees. Seek out clumps of trees or shrubs of uniform height. Get off the ledge and avoid open spaces, especially above treeline. Get down fast and seek shelter in low lying areas. Common sense prevails. If you hear thunder and the sky is quickly darkening, start thinking about an escape route and be aware of your surroundings. Plan to get to an area that is the safest your location allows as quickly as possible. 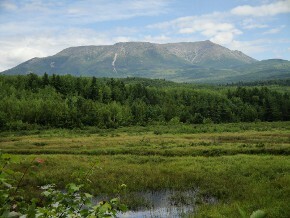 Katahdin, Whitecap and Barren-Chairback are especially dangerous during thunderstorms due to their extreme exposure. Your chance of dehydration is slim to none in Maine. Water abounds everywhere except along the mountain ridges and even there you will cross an occasional seeping spring. With so much water everywhere, it is easy to lighten your pack weight by only carrying one liter at a time. Even on the hottest days, you are not far from a water source, but you should still plan accordingly. Always carry enough water and never be without. Just because you are living in the woods doesn’t mean you need to smell like an animal. As with other facets of your life, personal hygiene is just as important during your hike as it is at other times. Staying relatively clean and dry is the best way to avoid problems with blisters to the feet or issues with chafing. Both of these conditions can have adverse effects on your hike, and for some, end the trip before it even gets started. Rinse out your clothing and especially your socks whenever the opportunity allows and dry them at days end or tied to the outside of your pack while you hike. This helps reduce salt buildup caused from heavy sweating and makes you a more inviting companion at days end. 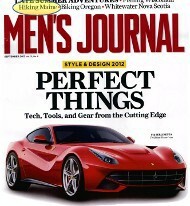 Frequent hand washing and proper tooth care round out the common sense items that are always worth mentioning. Hypothermia has killed more people in Maine during the summer months, than during the harshest of Maine’s winters. It rains in Maine. It rains a lot. It’s cold in Maine-a raw, bone chilling cold. Snow happens even in July and August, especially in the higher elevations. Top it all off with gale force winds and you have a recipe for hypothermia-that life threatening condition caused when the body temperature drops and you begin to lose the ability to perform even the simplest task such as zipping up your jacket. Staying warm and dry are key to not only comfort, but survival. Cotton clothing has no place in the woods of Maine. Cotton and cold, wet weather do not mix. Wool and/or synthetic clothing are the only choices that should be a part of your pack. Always make sure you have something dry to change into at days end and keep these clothes dry. Dry clothes will increase your comfort level in the lower temperatures and help you avoid the risk of hypothermia. Rain gear is a necessity in Maine and will help protect you from the wind and retains body heat. Never compromise on your clothing checklist. Buy the best and make sure it will protect you and keep you warm and dry in the worst of conditions. A warm hat and mittens should always be a part of your equipment checklist. Stay warm. Stay dry. Stay alive! There are only two main road crossings in the 100 Mile Wilderness. From South to North, these are the gravel logging roads near the West Branch of the Pleasant River-also known as the Katahdin Iron Works (KIW) road and the Jo-Mary road. Both lead East (right) to Maine State Route 11; a paved road that runs between Brownville Junction and Millinocket. The Trail crosses several other roads, but most of these are discontinued or seldom used extensions of the two main roads noted above. Many of these roads also lead to nowhere and can run miles in any direction to wherever logging operations once occurred and usually dead end at a log yard-a place where trees were dragged for loading onto the trucks that bring them to market. Unless you are familiar with the limited road network within the 100 Mile Wilderness, you should only expect to utilize the Jo-Mary and KIW roads as a means of safe travel. Traffic is limited and with the exception of a few hunters, fisherman or loggers, there aren’t many vehicles that will pass by. Those few who do, are generally helpful and may provide you with a way out or to safety. Black flies, gnats, no-see-ums, deerflies, mosquitoes; the list goes on. A little preparation and planning will keep all but the worst of them at bay. Beginning in late May to early June, the hordes of black flies are particularly bothersome, especially on warm days and along streams and rivers where they breed. Mosquito and deerflies are bothersome July into early September. Gnats (commonly referred to as “red-eye flies”) are another June through August pest and the no-see-ums are August through September. Patience, tolerance, a head net and DEET is your best defense. Maine is a land of extremes and harsh environments. Quickly changing weather patterns in the mountains can be life threatening for the unprepared. The typical hiking season runs from mid-May to mid-October and you will find some of the harshest weather during these times as well. Torrential, bone chilling rains. Wind driven hail. Sweltering tropical heat and humidity. Even snow in the higher elevations has been experienced during the months of July and August. If you are not prepared for the weather changes, your trip will be marred with bad memories, discomfort and possibly life threatening conditions. Always make sure to have dry clothing available at days end. Always make sure to have some type of shelter with you. The woods and mountains of Maine feature abundant wildlife and with rare exception, there is nothing to fear while spending time in the forest. The fear of man is real to Maine’s animal population. You will be lucky to see wildlife of any kind with the exception of feeding moose in some of the smaller ponds along the footpath. This isn’t to say you won’t see bear or deer or some of the other wildlife living in the woods, but there is little to fear in the way of animal attack or dangerous encounter. The exception would be bull moose during mating season; in October. Bull moose are extremely territorial. You should give a wide berth to any bull moose within the area. Never look a bull moose directly in the eye. You cannot outrun them. You cannot climb a tree fast enough, nor high enough to avoid their attack. Best choice is avoidance entirely. Mice inhabit the shelters and are particularly annoying at night. Always in search for food, your pack is a prime target. Always hang your food bag from the nails on the rafters using the dangling tin cans you’ll find in every shelter. These ingenious, yet simple devices keep the mice from climbing down the string and into your food bag. Always unzip every zipper on your pack. I have seen more packs ruined because someone forgot a food item in the pack only to awaken to a freshly chewed hole. Shelter mice will do everything they can to make your trip miserable in one form or another. Dogs are, perhaps, the most dangerous and unpredictable animal on the Trail. Unfortunately, it’s the owners that give dogs a bad reputation. While issues with dogs (and their owners) are rare, always err on the side of caution and approach dogs cautiously while hiking. Best to step aside and let the owner and their dog pass by safely then to take a chance on getting bit. If you plan to hike the Trail with your dog, you should be aware that not all service providers will accept your dog onto their properties and you may have to find alternative places to stay. I no longer accept dogs at 100 Mile Wilderness Adventures and Outfitters in Monson. Dogs are also not permitted in Baxter State Park. All paths lead to nowhere, so it is important to choose a path that has heart.